This Episode offers 2 exclusive DJ Sets. On Demand streaming is enabled. The music is shockingly incredible!! Please, enjoy! The beginning of the new series as a fusion of Progressive & Techno events - The Ball will give us some fresh guests in coming Mild 'N Minty Radio Show's. Big Bang is 1st event in the row and story about two resident DJ's joining forces in capital of Slovenia redefining the concept of existing clubbing scene. 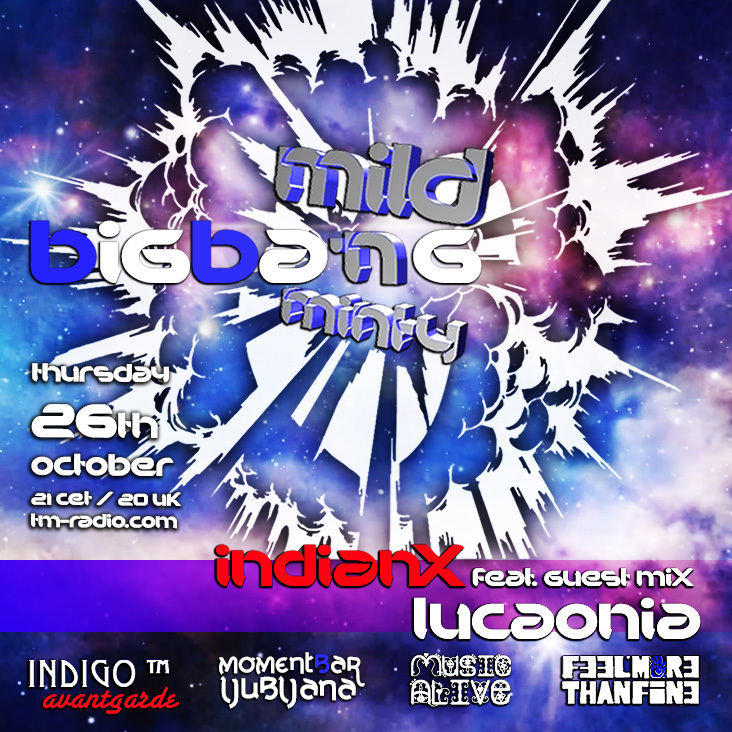 An hour long Techno guest mix by Luca Onia (Music Alive) & host of the show mix, this time with warm:UP position for 1st event indianX (Mild 'N Minty). Jet one more thing to mention this is another milestone for Mild 'N Minty crew not only we step further with event concept but also this show is our 3rd Anniversary of hosting it on TM-Radio.